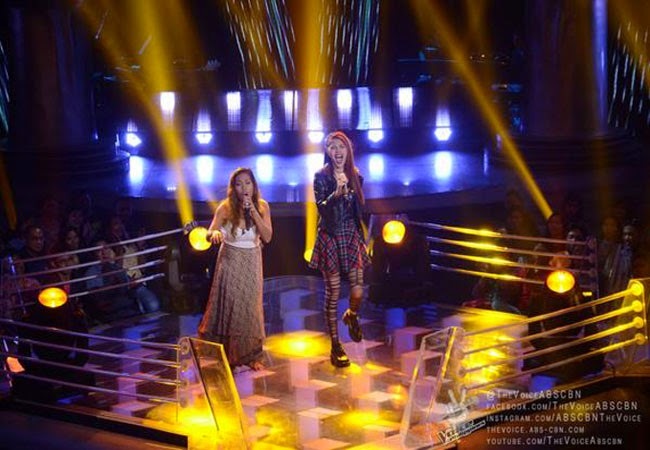 Find out who in Team Apl's Ferns Tosco vs. Krystina Ng will step up in the Final Battles Round this Sunday, December 21, 2014 at 8:30 PM in The Voice of the Philippines Season 2. Ernaflor ‘Ferns’ Tosco is an artist totally into her craft as she traveled only to persue her dream, yet she never forgot her home in Boracay. She was able to make Lea and Apl De Ap turn with her touching voice. She even made an impromptu song to appreciate the coaches. Her love and passion had been felt through her songs which had caught her coach’es heart. Krystina Luis Ng shared her love for skulls, black and studs, showing her real character as a rock star to be. Singing ‘The Rise of the Rising Sun’ while sporting a black dress paired with black sneakers, she is a rock star in the making. Apl had promised to give her more dynamics in her training. Who among these two will survive? Bookmark and reload this page to find out.